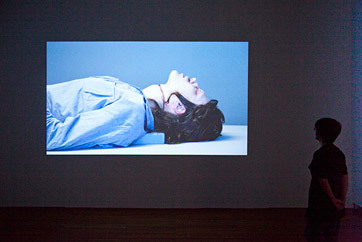 A Few Howls Again "awakens" the brilliant and notorious German journalist and political militant, Ulrike Meinhof (1934-1976) in a stop-motion-photo-animation video loop with titles (no sound). 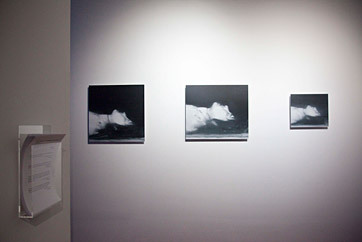 Meinhof is awakened from the same historical death photo used by Gerhard Richter in his "October 18, 1977" painting project. 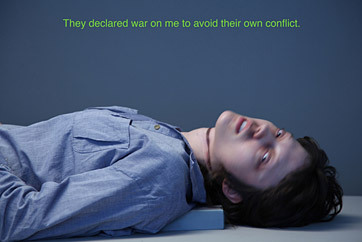 The project raises questions about contemporary state violence and political resistance, using the past as a filter for the present. 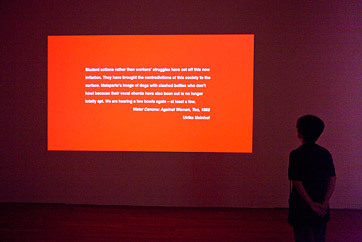 This is the companion piece to Like a clap of thunder, a stop-motion photo animation that "awakens" Rosa Luxemburg. Video loop (silent), 9:13 mins. 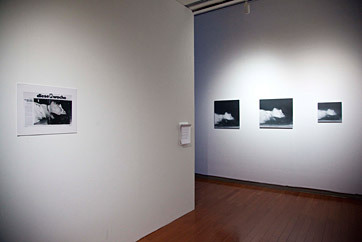 At left is a short excerpt of the video, and several installation views of the work at the Taipei Bienniel, 2010. 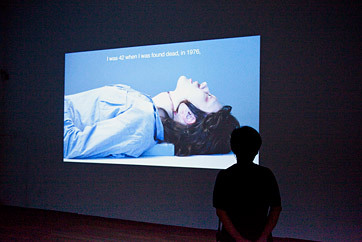 Commissioned by Taipei Bienniel, 2010; Curated by Lin Hong-John and Tirdad Zolghadr. 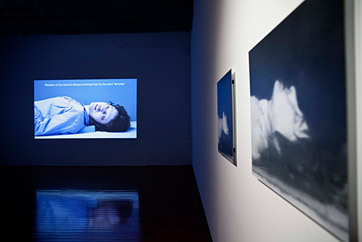 Re-exhibited in "Off Screen," Images Festival (A-Space), Toronto (2012), and on Argentine public television. Please note that pacing is for a large projection. Encountering Ulrike Meinhof in Silvia Kolbowskis A Few Howls Again?